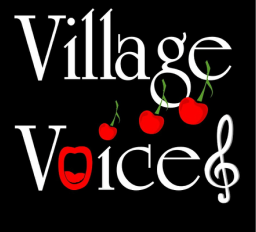 Welcome to the Village Voices website! Based in Seer Green in Buckinghamshire, the Village Voices is a women's community choir. We started out in 2005, and the initial membership was mainly made up of mums at Seer Green CE Combined School. Now the choir is 80 strong, with members from many of the villages around Seer Green. We are a friendly, welcoming choir, who enjoy singing music of many different styles and from different eras. We perform regularly in Seer Green and other places in Bucks, and went on a very successful short tour to Prague in 2008. Following this tour, we were invited to sing at the Kilkenny Celtic Festival in October 2009. In October 2011 we went to Belgium, singing in Ghent cathedral, De Panne, Bruges and in the Last Post ceremony in Ypres. We then went on a short tour to Paris and environs in October 2013, and then Tuscany in May 2016. Our next trip is to Bratislava and Vienna in October 2018. The choir is run by Jane Smith, and is accompanied by her husband, David Smith. The choir is currently full, but we hold a waiting list. Please contact Jane on janesmithmusic@aol.co.uk if you wish to join.